Today’s Olympic-inspired, patriotic mani appropriately uses Zoya America and Vivid Lacquer’s Paint Me Patriotic. How perfect is that? 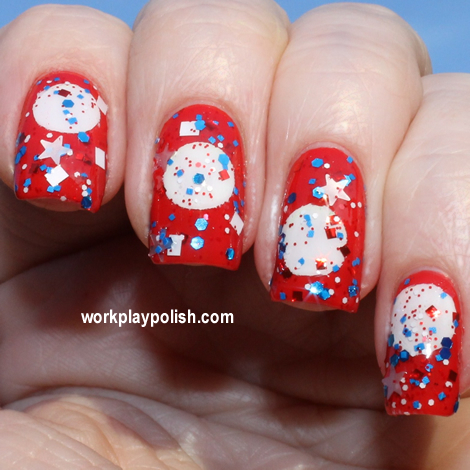 I really wanted to use Paint Me Patriotic over a red…but I also wanted to spotlight the different glitters. So that’s when it hit me…I’ll do a spotlight! So I started with two coats of America and painted a large white circle using hole reinforcers and OPI Alpine Snow. Then I polished one strategic coat of Paint Me Patriotic. 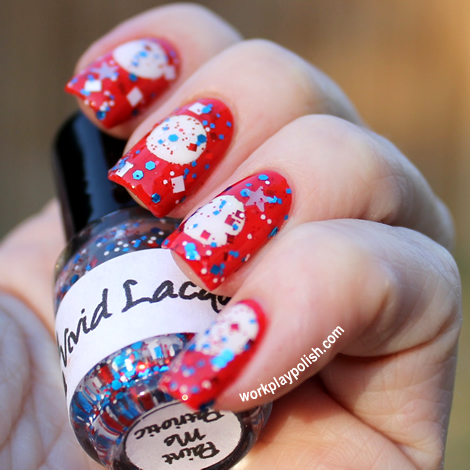 Paint Me Patriotic features sparkly red, white and blue multi-shaped glitter and matte square and star glitter. The polish applied smoothly and evenly and I didn't have to fish for those stars! It's eye-catching with all those shapes and sizes...but it's not overdone. 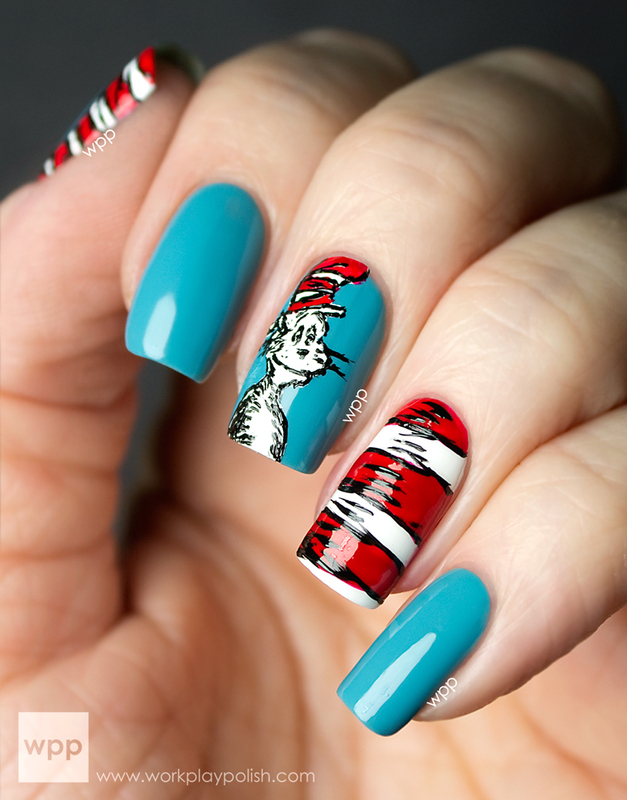 And best of all - it didn’t feel heavy on my nails (my main gripe with indie polish). Waltraud and Your Princess Is In Another Castle. Vivid Lacquer polishes are handmade by Anni and are available in her Etsy store for $9 (full size) and $4.50 (mini size). 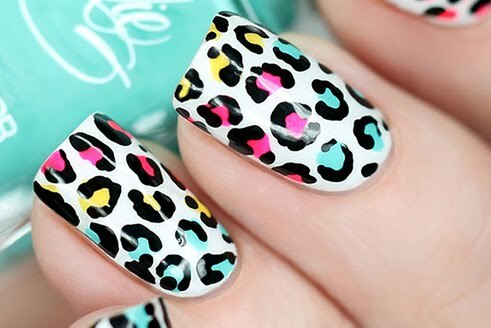 You can also find Vivid Lacquer on Facebook.